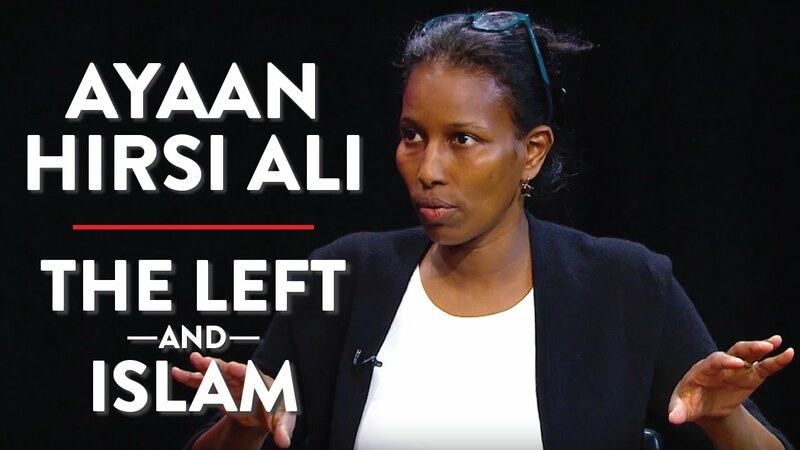 There is no better unmasking of the nexus between leftist-fascists and Islamists, as brothers/sisters-in-totalitarian-arms, than the way(s) in which they merge forces to destroy freedom and its underpinnings. This is a fact. For the record, a recent show of their inextricable linkage is demonstrated through another co-joining, as Antifa’s anarchist thugs embark on a 10-day march from Charlottesville to DC in concert with Islamists! Indeed, this is the case, regardless of the moniker and group name appended. Orwellian-like, they mendaciously hoist themselves under the banner of “anti-fascist”, even as they embrace fascist ideology AND methodology to a tee. Did you ever?? Under overcast skies several speakers voiced their concerns and demands, and religious leaders joined the group in prayer. The first leg of the march goes about three miles to Commonwealth Drive off Seminole Trail. On Tuesday the march goes up Seminole Trail/Rte 29 to Ruckersville, according to the march’s website. Each day’s march is set to start at 9:30 in the morning. A representative of Solidarity Cville demanded the resignation of Charlottesville’s mayor Mike Signer because “he has blood on his hands.” It was among ten demands which included the removal of Confederate monuments and dropping charges against the 22 counter-protestors arrested during the July 8 KKK rally in Charlottesville. The group, which numbered around 100 people, then began the march with clapping and song, with Charlottesville residents of color leading the way. But never mind all the whitewash. And, don’t jump these bones for using the most reviled word within leftist-fascist circles – you guessed it, white! 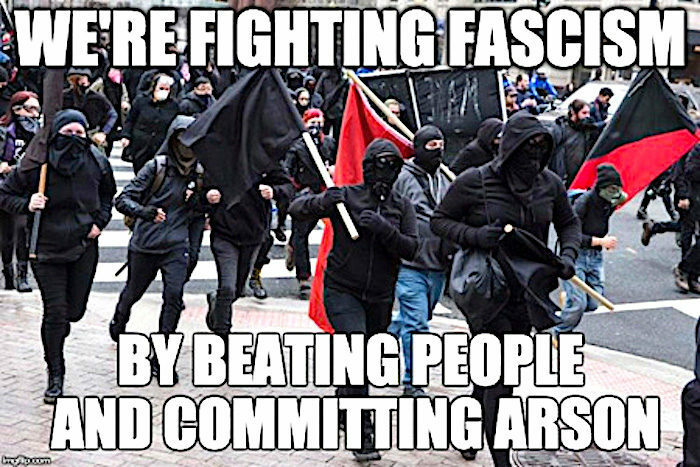 Regardless, what can’t be emphasized enough, Antifa is mendaciously designed to evoke images of Martin Luther King’s struggle for authentic civil rights, even as they rampage across the nation (and other western nations) like storm-troopers! In the meanwhile, Linda Sarsour – Hamas’s Brotherhood Mafia Muslima from the (Brooklyn) ‘hood – is part and parcel of the aforementioned march! Go figure. Birds of a feather too. Not only that, akin to fascists world over, so-called “freedom-fighters” marching on DC to topple Trump are not only erasing American history through their monumental – no pun intended – destruction of Confederate history, but are circling the monuments of America’s founders! Vultures. And in furtherance to the symbiosis between reds and greens (aka leftist-fascists and Islamists), wouldn’t you know, Islamists are laying to waste centuries-old historical monuments, and with no end in sight. If anything, this parallel is more than enough to bind the two into symbolic (and actual) knots. That being established, is it any wonder that those gunning for “all things conservative” (read: patriotic) would find “BANNED: How Facebook Enables Militant Islamic Jihad” a “legitimate” target? Rhetorical. Lo and behold, as otherworldly and topsy-turvy this (western) state of affairs is, there is hope and reason to cheer. Alas, among a growing cadre of freedom fighters, one such fellowship can be found at the most thought-provoking and truly intellectual site (as opposed to a burgeoning list of dumbed-down sites that are meant for PC conformity and all that it entails) on the blogosphere, “Watchdogs of Our Freedom-WOOF! Counter-revolutionary commentary for our times.” Trust, WOOFERS (as they are affectionately called) are praiseworthy, whether they endorse my work or not! Can’t you see yours truly blushing…. Oh, when clicking on the link, you can find the actual “thumbs up” by scrolling all the way down the right-hand side of the page – that is, if you are so inclined! As is said, the more things change, the more they stay the same. And little is more emblematic of the same than the obsessive quest for “peace” between the terror imbued PA junta and Israel, the Jewish national homeland. Now, while many recognize that the late and non-lamented leader of the Palestinian Authority, “Chairman” Arafat, wasn’t remotely interested in peace (other than the salami-style tactics of piece-by-piece), the fact remains that most haven’t a clue that he was a fabricated “Palestinian” – a Cairo-born Egyptian whose bonafides were invented by the Soviet KGB, tasked to foment anti-western chaos, aka “resistance”, against the “Zionist entity” and its western imperial spear, the U.S. This is the G-d’s honest truth. Similarly, the PA’s current head, Mahmoud Abbas, aka “Abu Mazen”, became a Soviet spy in 1983, a year after he studied in Moscow at the Institute of Oriental Studies of the Academy of Sciences of the USSR. Ipso facto, on its face, how is it possible for the U.S., let alone Israel, to “do business”, to broker “peace”, with Mohammedans who not only perpetrated the mother of all lies, but wage jihad for decades on end? Which brings the analysis full circle, as Trump discharges baby-faced Kushner to play life and death chess in the Middle East! 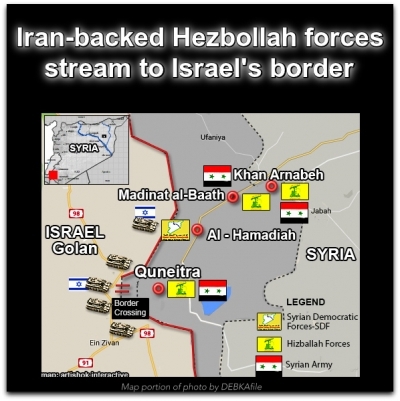 In this regard, consider the following analysis as an opening shot, thus, exposing how the administration’s security team – with NSC’s McMaster in the lead, backed up by Secretary of State Tillerson – is aligning U.S. Middle East policy – vis-à-vis Syria – with Iran’s genocidal regime and its proxies. Yes, Trump is now following Putin’s lead and leash! And if the aforementioned link does not carry enough weight for some doubting Thomas’s (as per the nightmarish knock-on effects which will accrue to the security of America and Israel, for one piggybacks the other, like it or not) due to Kushner’s team-up with McMaster, well, no hard feelings. But what is unacceptable is the Trump administration’s obdurate refusal to learn from (recent) history by internalizing the most salient lesson of all: there is NO DEAL to be done with the PA junta, other than to finally squash their quest for statehood, placing it into the dustbin of history! Inherently, by refusing to acknowledge McMaster’s PC (and worse) stance on Islamic jihad (with his sidekick, Powell, in tow), as it directly impinges upon America’s and Israel’s security, Trump, as Commander-in-Chief, will bear the onus – as will Kushner. Embattled White House National Security Adviser H.R. McMaster has been given a larger partnership role in efforts being overseen by Jared Kushner, President Trump’s son-in-law and senior adviser, to secure an Israeli-Palestinian peace deal, according to a report in Politico.The media outlet reported that McMaster brokered a new arrangement giving the National Security Council (NSC) more input over policy matters pertaining to Israel and the Palestinian Authority. According to Politico, Victoria Coates, an NSC official, will work full-time under Jason Greenblatt, who has been helping Kushner lead Israel-Palestinian peace efforts as the Trump administration’s envoy for international negotiations. McMaster has faced controversy over his views on Israel, Iran and radical Islamic terrorism and for his ties to think tanks and financing that raise questions about his national security policies. By bringing on Coates, Greenblatt would get a senior point of contact on the NSC who would be fully devoted to his project. McMaster, too, was pleased with the arrangement: it helped integrate what Greenblatt and Kushner had been doing with his NSC desk. The group saw it as a win-win-win, and the move was quickly finalized. The move, White House officials and outside advisers said, underscored the administration’s commitment to brokering a Middle East peace deal, even amid recent setbacks in the region. And it showed the unorthodox administration giving a bigger partnership role in the region to the NSC — the traditional forum where foreign policy decisions are brokered. 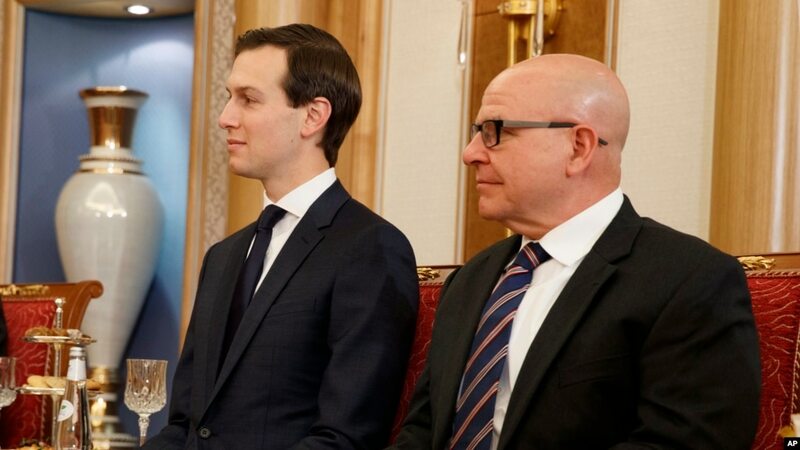 Greenblatt, Kushner and Dina Powell, deputy national security adviser, are currently in Cairo and are due in Israel on Thursday for meetings with Israeli and Palestinian leaders as part of the Trump administration’s Middle East efforts. Already, Egypt’s foreign minister, Sameh Shoukry, reportedly snubbed Kushner and his team by refusing to meet with the U.S. delegation in protest over the White House’s decision to cut aid to Egypt. McMaster’s role in securing a larger role for himself and the NSC on the Israeli-Palestinian file is fraught with risk given the PA’s history of turning down successive Israeli offers of Palestinian statehood. These offers were made at Camp David in 2000, Taba in 2001, the Annapolis Conference in 2007 and more offers were made in 2008 and 2014. In each of these cases, the PA refused generous Israeli offers of statehood and bolted negotiations without counteroffers. The Palestinians have also rebuffed Prime Minister Benjamin Netanyahu’s unprecedented attempts to jump-start negotiations aimed at creating a Palestinian state, including freezing Jewish construction in the West Bank and eastern Jerusalem and releasing Palestinian prisoners. McMaster, meanwhile, has been accused of harboring controversial views on Israel and the war on terrorism. The ZOA’s analysis cited Breitbart News articles by this reporter on McMaster’s background. Breitbart News recently reported that McMaster served at a UK-based think tank financed by a controversial, George Soros-funded group identified by the Obama White House as central in helping to sell the Iran nuclear deal to the public and news media. IISS quietly took in about $32.5 million in funding from Bahrain, a country whose constitution explicitly enshrines Sharia Islamic law as its governing doctrine, Breitbart News documented. The funding from Bahrain, a repressive regime with a dismal human rights track record but also an important regional U.S. ally, reportedly amounted to one-quarter of the think tank’s total income. A significant portion of the Bahraini funding reportedly pays for the think tank’s annual conference in Bahrain, called the Mamana Dialogue. The original agreement between IISS and Bahrain to finance the conference contained a clause calling for the memorandum of understanding to remain confidential, according to the document, which was leaked by a watchdog and published by the Guardian newspaper last year. Post Script: Not to be lost in the discussion, even though Kushner has his heart in the right (no pun intended) place re Israel, the fact remains that he is a life-long limousine liberal, a Democrat, raised by a father who donated mega funds to the Democratic Party. Resultant, his leftist-driven views re “peace-making” – between one side which has in their (terror) sights ALL of Israel, while their “partner” truly wants to live in peace – inexorably, will lead to a blood-soaked outcome, mirroring all the fantasy-driven “processes” from the past. Footnote: And the fact that Kushner is an alumnus of the same tightly-knit, stellar high school that (one of) my nearest and dearest graduated (mind you, unlike Jared, at the top of his class!) from, The Frisch School, admittedly, while a curious nexus, it will never spare the truth-telling – not on this end, at least. “I also quoted administrators at Jared’s high school, who described him as a less-than-stellar student and expressed dismay at Harvard’s decision. In other words, sentimentality has zero place in the jungle-like politics of the Middle East, that which this Islamic jihadi expert is way more qualified to judge – even if Kushner had the brain power to attend his college of choice without daddy’s quid pro quo; having purchased his seat of admission through the endowment of a new building!! The point being, he is far out of his depth within the very barometers that are needed most; core intellectual heft and depth, as well as solid grounding in the highly complex arena of political Islam, coupled with the peculiar cultural dynamics where the “strong horse” rules apply, among other acute factors. In no uncertain terms, by forging a partnership with McMaster and Powell, nothing could be more illustrative of the above stated truths. By the way, Kushner’s highly reported “tug of war” with Bannon is indicative of more of the same – his total lack of conservative ethos and his abject misreading of the fiery Middle East! Yes, Bannon, a staunch conservative, a realist and a proud nationalist, understands what’s what and who’s who, in a way in which Kushner (Ivanka, and the rest of this ill-equipped team) has yet to recognize. Most significantly, with countless innocent lives hanging in the balance, this is no time to bring in the “B Team” – his familial ties to President Trump notwithstanding! “The PLO was dreamt up by the KGB, which had a penchant for ‘liberation’ organizations.” — Ion Mihai Pacepa, former chief of the Foreign Intelligence Service of Romania. “First, the KGB destroyed the official records of Arafat’s birth in Cairo, and replaced them with fictitious documents saying that he had been born in Jerusalem and was therefore a Palestinian by birth.” — Ion Mihai Pacepa. “[T]he Islamic world was a waiting petri dish in which we could nurture a virulent strain of America-hatred, grown from the bacterium of Marxist-Leninist thought. Islamic anti-Semitism ran deep… We had only to keep repeating our themes — that the United States and Israel were ‘fascist, imperial-Zionist countries’ bankrolled by rich Jews.” — Yuri Andropov, former KGB chairman. As early as 1965, the USSR had formally proposed in the UN a resolution that would condemn Zionism as colonialism and racism. Although the Soviets did not succeed in their first attempt, the UN turned out to be an overwhelmingly grateful recipient of Soviet bigotry and propaganda; in November 1975, Resolution 3379 condemning Zionism as “a form of racism and racial discrimination” was finally passed. EVEN so, for a more robust “who’s on first” via the Truth Meter, readers should listen up and imbibe said facts. Pointedly, this Brotherhood/Islamic jihad expert’s (middle) finger is directed at Chabon and Waldman – smarties that they think they are, they are the ones who desperately require this video-based teaching tool. Btw, it is free of charge. Mind you, no thanks is necessary nor anticipated. AS repeatedly reiterated, unequivocally, to prevail in a protracted struggle, one must always be willing to identify the encircling danger, effectively, to name the enemy – unafraid and un-intimidated. Resolute. Standing tall. IN concert, by learning about the encroaching enemy’s underlying ideology, motivational forces and ultimate goal(s), this distinct knowledge base will serve, both morally and practically, as a compass – one which will guide all future action plans. INDEED, know thy history. Learn some elementary lessons in warfare too. Still yet, one needn’t be a serious student of poli sci or military/security studies to understand basic truths. They are, for the most part, derivatives from common sense. RESULTANT, as proven, even the highest ranking from said educational background can bring a nation to disaster, that is, if said lessons are (ab)used for political ideology, as opposed to being applied to national security. Again, this is not rocket science. NEVERTHELESS, none of this could have accrued without the direct or indirect complicity of the most powerful forces in America – inside and outside the Beltway. The facts are indisputable, discomfiting as they are. Buck the hell up! MORE specifically, whether one chooses to ignore the analyses offered at this site is neither here nor there. It’s the reader’s choice. But know this: when overall national security assessments (gleaned via years of working with the most astute counterterror/counter intelligence professionals in the field) from well-respected and independent experts merge with those within, hmm, it may be time to sit up and take notice. Act. CONCLUSIVELY, the empowerment of political Islam in America – the most hostile and retrograde anti-western force, bar none – is a direct knock-on effect to the likes of H.R. McMaster at the nation’s security helm, and his/their refusal to “name the enemy”, concomitantly, refusing to set forth proper battle plans (domestic and foreign) against the dangers lying in wait! SO, atop all the evidence re Sharia Law’s infiltration and penetration into America, the most logical outcome has come to fruition – but it is not as if fore-warnings at this site can’t be found ad nauseam! 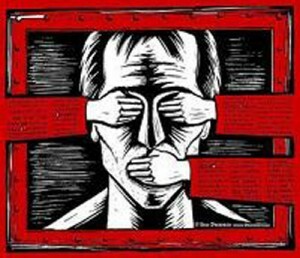 When it comes to Islam, A+ B = mandatory silencing of any criticism of Islam. Period. The Quicks reside within 200 feet of the proposed mosque construction in a zoned residential area. Yet, the settlement agreement prohibits them from describing the many unique features of Islamic worship which will impact design of the building, traffic density, water and sewage, traffic control problems, road construction, and parking arrangements. According to the settlement agreement, ISBR is permitted to make statements concerning Christians and Jews and their places of worship, but in contrast, the Agreement prohibits commentary relating to Islam or Muslims. In fact, ISBR has previously discussed the Christian and Jewish religions and their places of worship….continue reading the whole obscene treachery. AS is known, U.S. courts are stacked with judges who were fed a steady diet of leftist-fascist indoctrination – both within their undergrad and law school studies. Intrinsically, this is another knock-on effect of the merging of the red/green alliance, that which is aimed, dagger-like, straight at the heart of America. AS such, Orwellian does not even begin to describe what is taking place, in the heretofore known “Land of the Free and the Home of the Brave.” More than a tragedy. Travesty. MIND you, back in November 2013, yours truly also warned about Sharia Law’s penetration within America’s Family Court too. Hmm. Again, A + B. BUT there’s more “proof in the pudding”, as per the charges of grave dereliction of duty and inextricable knock-on effects. TO wit, unless comatose, few are unaware that Debbie Wasserman-Schultz (with fellow Congressional traitors), yes, former chair of the Democratic National Committee (aka the Demokkkrat Party’s fundraising arm) has been in bed with Pakistani agents – albeit under the guise of computer tech support. Indeed, their footprints are leading back to Pakistan’s Jamaat-e-Islami (JI), a “kissing cousin” of the Egyptian branch of the Muslim Brotherhood Mafia. FOR the record, the aforementioned nexus is in the “discovery” process, as per highly trusted sources. AND, in case there is any misunderstanding, this address hardly needs “schooling” on the Brotherhood Mafia’s global footprints! ALL of which brings the discussion full circle to today’s overriding thesis: as the underpinning to Islam, Sharia Law IS operational in America. OMINOUSLY, in no uncertain terms, the fact that the nation’s public schools of (mis)education are ensuring that the above comes to fruition is the most dangerous aspect of all. After all, the kiddies are the future. 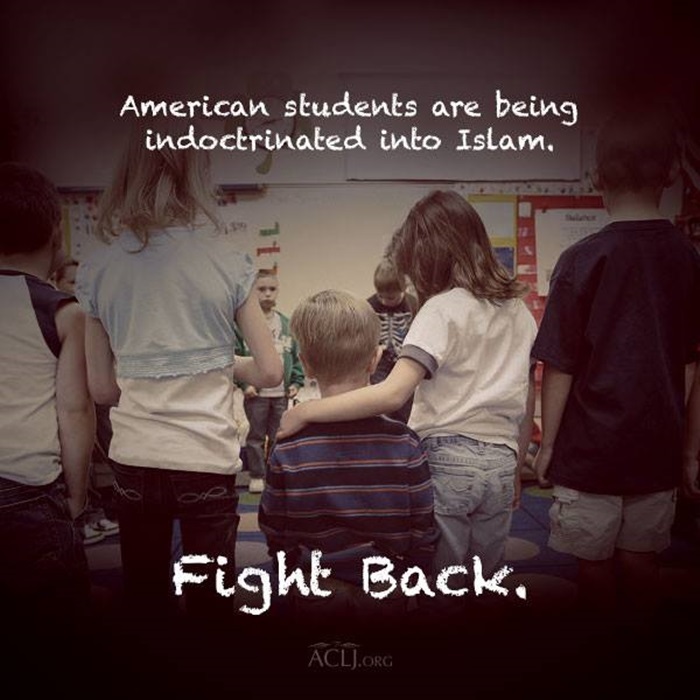 MORE recently, San Diego’s (among a host of others) school district has jumped on board, including, carving out “safe spaces” for Muslim students! In parallel, non-Muslims must learn about Islam!! Patriots, wake up. This IS war. MOST significantly, let’s get it straight: none of this would have come to pass without the hierarchy’s approval – be it direct or indirect. NOT only that, the case against treacherous Debbie only serves to shore up all of the above. Inextricably, whether she knew about the nexus between the Awan brothers’ and terror-laden JI is beside the point. But for her actions (and countless others), Islamist agents, in effect, would not have been able to access the (IT) keys to the Congressional kingdom! Intrinsically, many sworn to protect the nation are ensuring that Islam brings the nation down – and therein lies the most dangerous nexus of all. BUT for those who require additional visual aids, please see the following exhibits. Moreover, read about the first indictment against Wasserman’s favorite go-to (terror-connected) techie, Imran Awan, here. Say it ain’t so…..
ALAS, incessant shrieks – from those whose “holy” grail revolves around shielding legal and illegal Mohammedans at the expense of national security, hoisting Islam above all via a protective umbrella in America – can be heard at an alarming and deafening rate! INDUBITABLY, patriots who read these pages (similarly, other truth-telling so-called “alt-right” sites) will be able to recall particular warnings, one of which necessitates keeping a watchful eye “across the pond”, relative to what lies in store vis-à-vis the EU’s purposeful (mis)handling of illegal immigrants and its ultimate knock-on effect; the Islamization of all walks of life. SAID warnings include, but are hardly an exhaustive rendering: “NO-GO” zones, which happen to be on the rise in America too; mirror image “fashion statements”, whereby school girls should be aware of the effect their anatomical parts have on Muslim males, lest they get “offended and excited” and decide to “act out.” By extrapolation, said American “hotties” must be prepared to cover up their “jiggling” breasts – if applicable! Kid you not. Yes, “Sharia Police” are a-comin’. Get used to it. BUT getting back to the macro issue, the following (Jan. 2017) should be deemed as a U.S. template and viewed as a harbinger for the nation’s shores. AND, speaking of national shores, how would patriots feel if this surreal scene played out on southern border towns with Mohammedans (be they “migrants” from Africa, the Mid East or elsewhere) infiltrating and penetrating en mass, albeit not necessarily beach side – though a South Padre Island landing comes to mind! INCONTESTABLY, intellectual integrity demands that the truth be told: closing the gates to the national door after Mohammedans have escaped is surely a recipe for disaster – stampede-wise. IN other words, with all of the above taken into account – plus so much more – isn’t it time to admit: traitors within the highest echelons of the nation have ensured, sooner than later, that Sharia Law will become the “accepted” law of the land, even if run in parallel with – and, in direct contravention to – America’s Constitutional underpinnings. UPDATE: It appears as if well known terrorism expert, Steve Emerson, came to the very same conclusions as this expert….just sayin’….see report dated Aug. 16, 2017 here….pleased to be in such esteemed company! INDEED, while the public is generally familiar with law enforcement’s usage of forensics to bring criminals to heel (as gleaned through highly popular crime shows), few understand how important “tracking and tracing” the money trails are to an overall investigation, thus, bringing about an indictment. Read: RICO and money laundering. Trust, little is more intrinsic. AND, it is this well-honed ability, more often than not, which leads to the truth – come what may. So, those of us involved with the intersecting arenas of investigative journalism + jihadi terror have a decided advantage; unmasking some very ugly and dangerous linkages in the process. Truths. Heretofore secrets. Jewish news media was all atwitter with a news report about Camp Solomon Schechter in Washington state, a more than 60-year-old Jewish educational day camp, that states on its website that “Jewish camp can be one of the most rewarding and influential experiences a child has. A summer at Camp Solomon Schechter raises self-confidence, builds decision-making skills, improves social skills, and enables children to reach inside themselves and discover talents and abilities they never knew they had. These benefits last a lifetime – in fact, Jewish camping has been identified as one of the most important influences a child can have in building Jewish identity and commitment.” At issue was that the camp’s director and head administrator, Sam Perlin, chose to fly a PLO flag over the campgrounds for the world to see. This action was on the heels of several bloody terrorist attacks on Jews throughout Israel and Judea and Samaria, including the Temple Mount that left several Israelis dead – both Jewish and non-Jewish, even an entire family – acts that were praised by the Palestinian leadership that such a flag represents! A call to Sam Perlin, however, showed that decision-making and social skills from the camp’s director are sadly lacking. When asked in an interview whose idea was it to raise the PLO flag over the camp, Perlin immediately said arrogantly it was his alone, then he abruptly hung up the phone. He earlier said in other media it was suggested to him by the “Interfaith Peace Group” Kids4Peace, then changed the story again saying it was his idea alone, then again, the group’s suggestion. Perlin ultimately apologized to the Jewish community, but was this sincere? Further research and a brief phone conversation with one of Perlin’s subordinates revealed Perlin did indeed make his decision during a visit to the camp by Kids4Peace. Perlin did so to promote “dialogue”, he said, with a delegation of Muslim, Christian and Jewish children who visited as part of the Kids4Peace program. It seems unlikely that to Perlin, the idea of mounting a terrorist flag waved by Jew-killers over a Jewish day camp was an example of just how the Solomon Schechter camp’s director instills in his wards “benefits that last a lifetime.” But what Perlin has refused to recognize until this day was that he purposely allowed a Trojan Horse into a Jewish institution affecting Jewish youth to side against Israel for the future. Pro-Israel Jews fell into the trap of declaring this event as just another example of “liberalism” run amok among the Jewish community when the scenario is far more sinister. In 2003 and 2005, the Palestine Solidarity Movement held conferences at Ohio State and Duke university where seminars were held and plans were conceived to drive a wedge between American Jewish and Christian support for Israel, formerly deemed unbreakable, to end the Jewish state. Attendees were told this was achievable by their activists joining Jewish Federations, day schools (and day camps) and other Jewish functions to promote the idea of Israel as a human rights violator and promoter of “genocide” against Arabs, a result of the “occupation.” Such activists and groups would act as a Trojan Horse to set the tone from within and target especially students and the young so future generations of young Jews would be opposed to a Jewish state in the Middle East. Anyone who has witnessed what is going on at American colleges can see how such a plan has been growing rapidly. Originally fueled by Saudi and Iranian money, it now is swimming in money from certain philanthropic organizations that promote George Soros style “social justice,” such as the Rockefeller Brothers Foundation, the Nathan Cummings Fund and the U.S. State Department. This “social justice” front even fooled the World Zionist Organization into unwittingly donating money to the BDS movement. As for Kids4Peace, one might argue how anyone could be against children. But the PLO and Arab terror groups have always used children as the cover for their fundraising. Most revealingly, The Holy Land Foundation trial was the biggest fundraising scheme ever closed down by Homeland Security, yet, it always presented itself as a charity for children – when it really raised money for terrorists in Hamas! If one looks at the leaders of Kids4Peace and its Board of Directors the concept of a Trojan Horse comes into view: The President is Diane Nancekivell, who is, along with her spouse, a major sustaining donor to Friends of Sabeel North America (FOSNA) and has been for over several years according to the FOSNA newsletters. 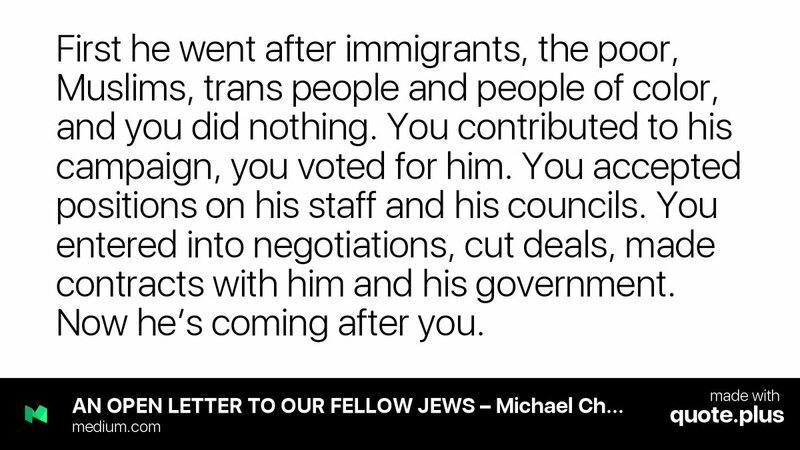 If one reads these newsletters, they are virulently anti-Semitic and filled with writings and lectures by ISM anti-Semites. The Anti-Defamation League, in a report to law enforcement, has described Sabeel as “…the “voice for Palestinian Christians” against Israel’s policies and has been a driving force behind various Boycott, Divestment and Sanctions (BDS) campaigns against Israel, including those initiated by mainline Protestant churches in the U.S.” In 2013 and 2014, Nancekivell and her spouse were both listed as Sustaining Donors of Sabeel which is a Christian front for the Arabs designed to drive a wedge between American Christians and support for Israel. FOSNA is also a major part of the International Solidarity Movement (ISM) that organizes the weekly riots in the West Bank and promotes BDS worldwide. Sabeel teaches “Palestinian Liberation Theology” in U.S. Churches where Palestinians replace the Jews in the Bible and Jesus is said to be not Jewish but a Palestinian. Sabeel is fiercely anti-Semitic and spreads that message to all churches according to NGO Monitor. Sabeel’s newsletter also has listed as guest speakers and workshop teachers various leaders of the ISM who call for Israel’s destruction such as terrorism supporter Ali Abunimah, Middle East Children’s Alliance’s Barbara Lubin, and many other virulently anti-Israel and anti-Semitic groups all of which promote BDS and always praise terrorism as “resistance.” Sabeel also receives funds from American Muslims for Palestine that the Investigative Project has stated is a front for Hamas. The list of similar funders and supporters, such as the anti-Semitic Marxist front group Jewish Voice for Peace, that are all calling for boycotts or the end of Israel as a Jewish state that “occupies” “Palestine” is endless. With a closer look at Kids4Peace’s Board of Directors one finds Abi Raik who served for nine years also on the Board of Directors of World Vision. World Vision is an anti-Semitic Christian organization now accused of being complicit in funneling $4 million to Hamas, which they used to build tunnels to conduct terror attacks. Another board director, the Reverend Judith Stuart, leads Witness trips to the West Bank where she has tourists “witness” alleged abuse of the Arabs by Israel. Kids4Peace also has hosted as a speaker, board member Mae Cannon. Cannon was Director of Public affairs for World Vision during the time the West Bank chapter of the organization was taken over by Hamas. Cannon is now head of the anti-Israel Churches for Middle East Peace that actively also promotes BDS. Then there is the question of money. Kids4Peace received a grant for $800,000 from USAID, the U.S. State Department, then another one for $77, 500 from the U.S. taxpayer-supported U.S. Institute for Peace. That’s just a few drops in the bucket for this moneymaking operation worldwide. Kids4Peace was founded in 2002 in Jerusalem. When queried if Camp Solomon Schechter Executive Director Sam Perlin was given remuneration either directly or through a donation to the Camp by Kids4Peace, leadership at Kids4Peace stonewalled repeated inquiries. Perlin, who changed his story more than once about the PLO flag, also would not talk to reporters. At the same time, Kids4Peace founder, Yakir Englander, titled as Director of a “Dialog for Action” department of Kds4Peace, claimed the non-profit has no money despite nearly the one million dollars cited above and many other donors. He further stated that regarding questions of any money paid out to Camp Schechter, it was necessary to speak with Executive Director Father Josh Thomas, the current top leader of Kids4Peace. Despite numerous requests for information, Father Thomas would not respond even when asked to by the Kids4Peace founder himself. Father Thomas has been linked to other BDS movements. Despite this, Thomas managed to speak before AIPAC. In addition, Kids4Peace leaders like Englander have stated they see nothing wrong with Boycotting Israel. These “Interfaith” front groups serve a purpose, not for peace, but to allow young Jewish kids to be indoctrinated with the Palestinian narrative so they will grow up and be opposed to a Jewish state described repeatedly as an “occupation.” That is the wedge between US support for Israel that the Palestinians hope to create and they are well on their way. There are enough Jews and Christians who are more than willing to help along in this subversive scheme for money, sinecures and prestige. Groups like J Street and If Not Now that all are also funded by the Soros bloc are making great strides with college students and the adolescent Jewish market. The Palestinian ISM leader in the village of B’ilin who leads riots every week against IDF soldiers and the security Barrier is a convicted terrorist killer named Basem Tammimi . He recently spoke before a group of third graders in upstate New York about an “Intifada” and at UC Berkeley sponsored by FOSNA. He was brought to the US with money and help from just this type of “interfaith group” that links to Kids4Peace. If anyone still has doubts about all this, they need only to look at a brochure put out by Kids4Peace that shows its leader posing with Siraj Wahaj, who is an unindicted co-conspirator in the first World Trade Center bombing in 1993 and has “preached that the bombing was a terrorist attack staged by the U.S. government and possibly Israel as a ‘conspiracy’ against Islam.” Englander and Wahaj pose arm-in-arm on the cover of the promotional brochure. This is the face of a non-profit that wants to create a “teachable moment” for Jewish day camp pupils at a young age. Jewish schools and other places of Jewish learning need to stop this indoctrination and not simply claim it’s a liberal vs. conservative issue when it is subversive activity to bring down a Jewish state by misinforming future generations of young Jews and Christians. What better place to start than in a Jewish day school camp that flies the PLO flag? The evidence is there and should be heeded for all concerned as it doesn’t bring peace, but is just more war by deception to end Israel as a Jewish state. Lee Kaplan is an undercover investigative journalist and a contributor to numerous anti-terrorism websites. He is also a regular columnist for the Israel National News and Canada Free Press and a senior intelligence analyst and communications director for the Northeast Intelligence Network. He heads the organizations Defending America for Knowledge and Action (DAFKA) and Stop the ISM. He has been interviewed on over two hundred nationally and internationally syndicated radio shows and been a guest on Fox Cable TV’s Dayside with Linda Vester and Bill O’Reilly’s The Factor. Email him at leekaplan@stoptheISM.com. STILL yet, lest anyone is confused as to where the onus lies, don’t be. In a nutshell: just follow the money, then couple it with an obdurate refusal to answer even the simplest investigative queries! 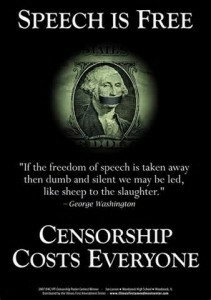 Ask yourselves: why the stone cold silence?